This week’s free app is the health tracking app WaterMinder. Normally it’s $3, but you can get it free from iTunes until Thursday, February 2nd. But is it worth a download? Let’s review it and find out. 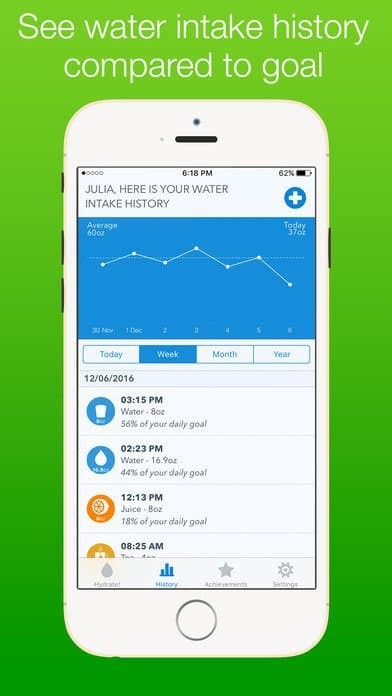 This week’s free app is the health tracking app WaterMinder. Normally it’s $3, but you can get it free from iTunes until Thursday, February 2nd. This app helps you track your water intake. After reading information from Health Sync (or manual entry), WaterMinder calculates how much you need to drink for optimal hydration. By default it selects water, but the app lets you pick any beverage. They all count the same towards your hydration goal. The app also integrates with both the Fitbit and the Apple Watch. 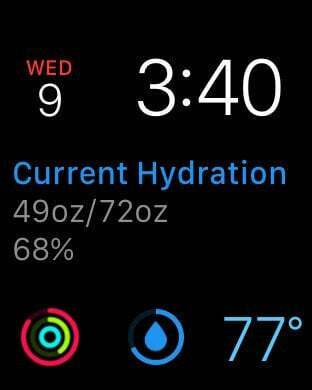 From the Apple Watch, you can enter in your liquids and see how close you are to your goal. 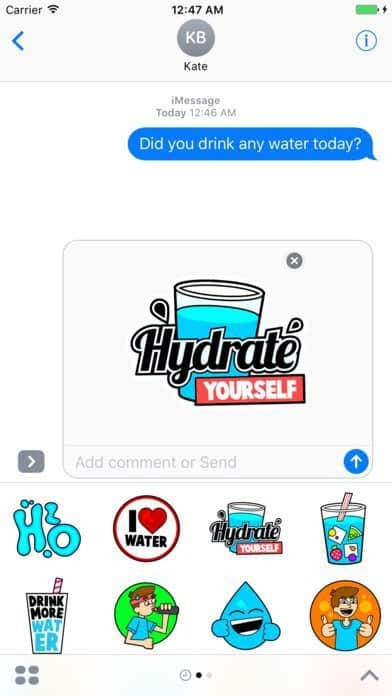 If your friends need to drink more water, the iMessage stickers give them some gentle encouragement. This is a customized tracker, as opposed to an overall calorie tracker (Tell us which one you use!). If you’re focused on just your water intake, though, this is the app for you. The Apple Watch app makes it easy to enter and track your goals. I’m great with my water intake, so I don’t track plain water. If you’re trying to lose weight, liquid intake is a great place to start. The average person probably doesn’t need a hydration tracker unless they’ve had a problem in the past. I drink a ton of coffee (black only please) and always have a water bottle handy, so this isn’t the app for me. If you aren’t sure you’re hydrated, you might check your urine. The app takes up 90MB, so it’s not going to make your phone fat. If you’re focused on liquids instead of overall calorie tracking, then WaterMinder is perfect for you. Again, when in doubt, check the color of your urine.